The highest quality product based only on effective active ingredients in a solid dosage! It is a must to use after training to maximize the results achieved! 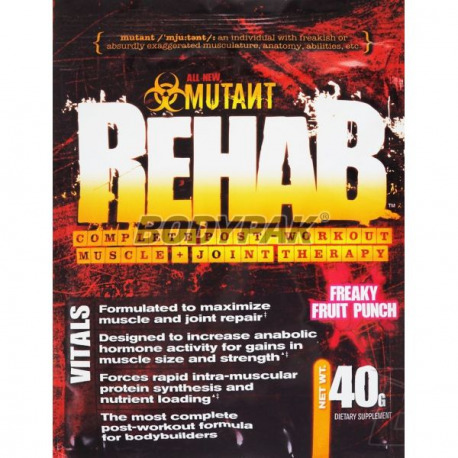 PVL Mutant Rehab is a dietary supplement for athletes and a must for use after training. Canadian stak creatine Mutant Rehab is designed for athletes who are in training are struggling with huge weights - rich composition of nutrients allows for fast and efficient recovery. 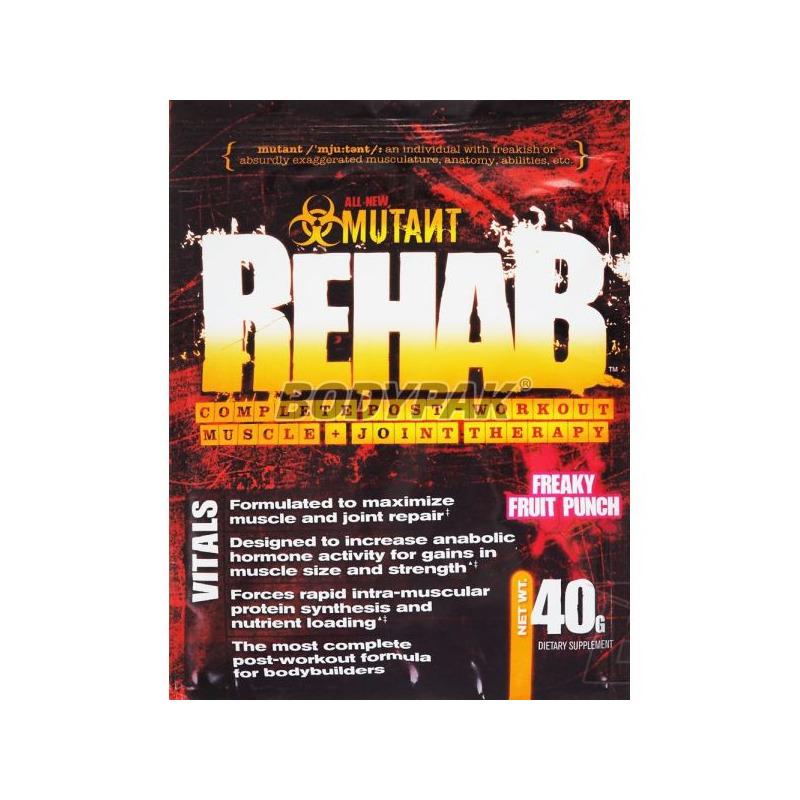 Cheap regenerator with creatine Mutant Rehab make maximum use of anabolic window, and as a result much more quickly gain increases muscle mass and strength. Other Ingredients: Citric acid, malic acid, MCT, whey protein isolate, medium chain triglycerides (fractionated coconut oil), beet red, natural and artificial flavors, Acesulfame K and Sucralose - subst. Sweetening, nicotinic acid, silicon dioxide.